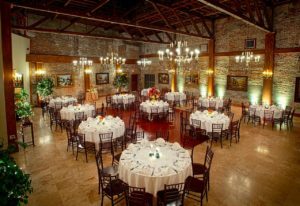 How to Choose a Location for Your Rehearsal Dinner? A rehearsal dinner really is the big start to a wedding event, usually held the night before the wedding. It’s a great way to relax and connect with family and friends prior to the big day. Whether you choose to host the dinner in a private home or at a restaurant, there are a few things to keep in mind to make the event pleasurable for everyone on the guest list. Does the couple choose the place for the rehearsal dinner or the groom’s parents? It depends on the family. Sometimes, it can even be the maid of honor or best man who chooses the place. Make your budget a top consideration. Usually the groom’s family is in charge of covering the costs of a rehearsal dinner but other arrangements can be made. Remember, the rehearsal dinner should only be a small part of the wedding’s overall budget. Prepare a guest list for the rehearsal dinner. Many choose to include only family and attendants while others expand the list to include other friends as well. Make sure your guest list will allow you to keep within your budget. Decide whether you want a formal affair or a more laid back shindig. A formal wedding doesn’t necessarily dictate a formal rehearsal dinner. Make it your own. Consider convenience for your guests when you choose a location. Out-of-town guests may not be familiar with certain places. You don’t want to choose a location too far out of the way or one that requires complex directions. Accommodate the special dietary needs of your guests, whether they are vegetarians or allergic to certain foods. While you might not be privy to this information for every guest, making special accommodations when you can will make your guests feel more comfortable. Choose a restaurant that suits your style. Perhaps there’s a restaurant where you had your first date or maybe where the proposal took place. Choose to dine there and include that story as part of the rehearsal dinner festivities. If you’ve never been to the restaurant you are considering, ask for samples. Get menus and price lists. Find out if the restaurant has a private party room for a more secluded rehearsal dinner. Ask about upfront or cancellation fees. Mention that the booking is for a rehearsal dinner and ask if there are any special packages or discounts available. Ask the restaurant if they can provide you with references, particularly those who used their private room for rehearsal dinner celebrations. When you book an establishment for your wedding rehearsal, get all the details on paper. That way, both you and the restaurant have a clear understanding of obligations. Ask for recommendations from others who have been recently married. Consider holding the rehearsal dinner at your own home or the home of a family member or friend. Doing so would create a cozy atmosphere, and you could serve or have catered a home-style cooked meal of favorite dishes. Or, you can invite local guests to bring something to share.